Coping with the loss of a loved one is hard, and everyone’s healing process is different. Even with support from friends, family or a therapist, it can still be difficult to communicate exactly what you are feeling. One helpful way to work through emotions that are difficult to verbalize is writing therapy. 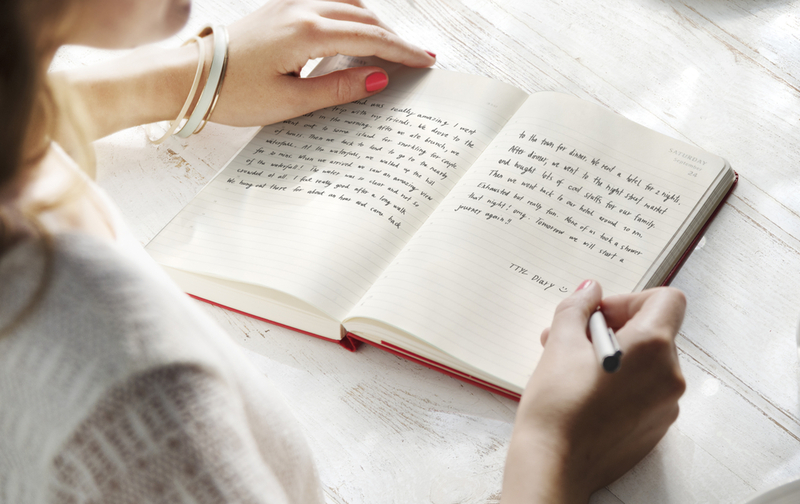 Writing therapy, or journaling, is as simple as it sounds. All you need is a pen and notebook, or even a laptop, to get started. Writing can be helpful when grieving, and according to the American Psychological Association, it can provide long-term benefits both mentally and physically when coping with loss. Writing is inexpensive, easily accessible and can be used for in a variety of ways. People can write about whatever is going to help them heal, so the writing process and experience will differ from person to person. Finally, writing can foster self-improvement and personal growth. If you are interested in starting a journaling habit to help cope with grief, these fundamental ideas will help get you started. You don’t have to be an author or poet to practice this exercise. The beauty in journaling is that it’s just for you. You never have to share your written thoughts with anyone if you don’t want to. It’s a judgement-free zone where you can work through your feelings and emotions as they come. Whether it’s nightly, once a week or on your lunch break, find a time that makes you most comfortable and stick with it. Beginning a writing routine is similar to developing any other habit, you must establish a regular schedule when you write to ensure you stay consistent. That way, each time you sit down it becomes easier to get in the right mindset to jot down your thoughts. Additionally, you should write in a space you are familiar with and that you feel relaxed in. Doing so will help keep your mind at ease while processing emotions. Above all else, setting clear intentions and then keeping them in mind throughout your journaling practice is key to successfully establishing a new writing habit. Your purpose might be to understand a certain aspect of your relationship with your loved one. It could be to record the special memories you had together so that you can go back and remember them later. No matter the style or format in which you choose to write, it is important to know that at the end of the day what comes out on the page should be helpful to you. There are dozens of sample prompts available online, but here are a few ideas that may help you get started. Write a letter: When you lose a loved one unexpectedly, it can feel as if there were certain things left unsaid. Find your closure by writing a letter to your loved one. What would you say to them if they were still here today? Think of a memory: Choose a memory you feel was important to your relationship. This could be a simple conversation, a small act of kindness or an event you experienced together. Talk about that time and how it impacted your life. Pick an object: It’s often the little things that can end up meaning the most. Pick a special object that was symbolic of your time together and describe the memories and aspects of your relationship attached to it. Writing provides the opportunity for reflection and growth and can help you better understand yourself and how you feel. The best way to see the developments you’ve made over a period of time is to periodically look back on what you’ve written in the past. Journaling can be an intimate and therapeutic part of your healing process, so grab a pen and try it today. For more grief support resources, check out Bevis Funeral Home’s online Grief Support Guide or give us a call today at 850-385-2193.